Did I ever tell you how I decide what to post on JewishMOM.com? I try, whenever possible, to post things that move me to tears. In the chapter on Rebbetzin Chaya Mushka, we hear about the Rebbetzin’s exceptional attention to detail in caring for those around her. Rabbi Telushkin shares how much the Rebbetzin enjoyed hosting guests, and how she made a point of pouring a cup of tea for each guest, even though there was a teapot on the table and the guests could have served themselves. We hear how the Rebbetzin would occasionally travel to the Lower East Side to buy fresh rugelach (which were not available in Crown Heights at that time) for an employee who occasionally helped out in her home and loved rugelach. We hear how, at a time when it was unusual, she insisted on paying her household employees on the books, so that they would be eligible to receive Social Security when they reached retirement age. And while I found all of that interesting, it was the following story that moved me to tears. Rabbi Telushkin writes: “The Rebbetzin’s graciousness also extended to acquainting herself with subjects that she knew would be of interest to the people whom she was meeting. 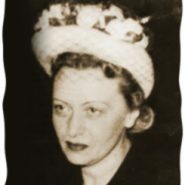 Dr. Ira Weiss, the Chicago cardiologist who started treating the Rebbe in the aftermath of his 1977 heart attack, subsequently also became one of the Rebbetzin’s physicians. Why did this unusual story move me to tears? I don’t really know. But maybe it’s seeing such a great woman who worked so very hard to make the various people in her life feel cared for and understood. Even if that meant putting down her Sefer Tehillim for a few minutes to check how the Cubs did in last night’s game. Thanks Jenny! I haven’t read the book yet, but I just know it’ll be incredible, and not only because the Rebbe and the Rebbetzin were: I know it’ll be great because Rabbi Joseph Telushkin is such an awesome writer. I love his Jewish Literacy, Biblical Literacy (this one’s excellent for anyone who’s struggling with connecting to the Tanach), and The Book of Jewish Values which is kind of a family reader. Also, even if you feel strong in your Judaism, the book The Nine Questions People Ask About Judaism is a real eye-opener.